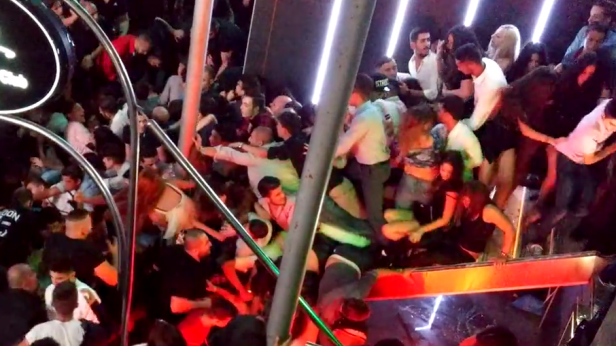 A teenager introduced gas into PlusOne club’s ventilation system on Saturday-Sunday night , spreading it throughout the bar, according to one of the owners of the Paceville establishment where 74 young people were injured in a stampede. The act was seen on CCTV footage. Carlo Schembri defended the health and safety measures in place at PlusOne and said the owners were cooperating fully with the police in their investigation of the incident because they had nothing to hide. “The place was not beyond capacity and the emergency exits were working as they were supposed to,” he said, amid reports that the club’s two exits led directly into adjacent establishments. “The footage shows that many people used the emergency exits but the gas was so strong you couldn’t breathe. In the panic, the majority naturally went for the main entrance,” Mr Schembri said. With reference to reports on the presence of a large number of patrons aged under 17, he said club staff could not be expected to examine the ID card of every single person to check their age. He insisted bouncers had clear instructions not to allow underage people in, but pointed out that many teenagers used fake ID cards or borrowed their parents’ documents.